This week, a VIP friend of a friend was after suggestions on where to take his 3 teenage boys who would be stopping in Paris for 2 days this summer. Hmm… I wondered what sorts of things these – not to mention any– American teenage boys liked to do. Disneyland Paris and the Science museum lose their appeal after age 7. Are these kids outdoorsy types or would they prefer to sit on a tour bus? Do they like history or art? If so, contemporary, modern, or ancient? Having scant information about my target audience, I hesitated on what to recommend. This was a new challenge. 1. 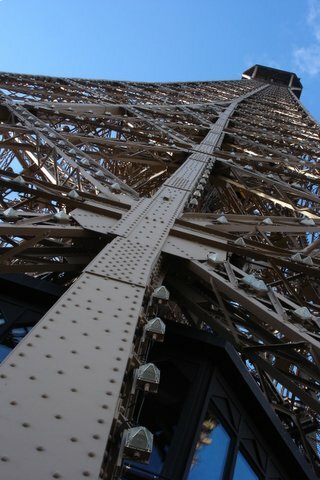 Climb to the top of Notre Dame or the Eiffel Tour. One would be enough. Be sure to get there early for the least amount of hassle. 2. Fat Tire bike tour – a leisurely way to get your bearings and a taste of the major monuments. 3. The Catacombs – creepy, unique, unforgettable. 4. The Sacre Coeur – the 2nd most visited site after the Eiffel Tour. Charming during the day or at night when the steps leading up to the church become impromptu concert venues. 5. The Marais – the Jewish quarter, with some of the oldest and most well-preserved architecture in the city. 6. The Bateaux Mouches – take a sunset cruise and relax after a busy day of sightseeing. VIP friend of friend asked if it was possible to pre-book and whether there was VIP access to the Eiffel Tour. Per the website, tickets were only available upon arrival. While there was no mention of a VIP pass, I contacted the tour guide company listed on the site, hoping to find one. The gentleman on the other end of the phone chuckled, explaining that the Eiffel Tour is a “first-come, first-served” monument: everyone has to wait in the queue. “Even with a guide?” I pressed. The guide would be able to provide history and details about the monument whilst the group queue up, presumably making the wait more tolerable. But even with a guide, there was no priority access. I remembered a trip to New York years ago during Thanksgiving weekend. A close friend who happens to be a gifted networker was the proud carrier of a VIP card providing priority access to many of the city’s major sites. Thanks to that card, instead of waiting in line to get to the top of the Empire State building during one of the busiest tourist seasons of the year, we were suddenly being whisked through security down crowded narrow hallways, brushing by hundreds of anxious tourists, many who had been waiting for hours. I had never been so fearful of being mobbed in my life! Their scowls were vicious. In a whirlwind, we got to the front of the queue and into the first available lift completely unscathed… from sidewalk to summit in a matter of minutes. Perhaps this is typical for privileged New Yorkers. For me it was truly decadent, a once-in-a-lifetime opportunity. Could it be that the Eiffel Tour of all places was indifferent to VIPs? If so, how refreshing! How diplomatic! Yet how unlikely. Were I a native French speaker, slightly more insistent, with a quirky and compelling personal anecdote, might I have gotten a different answer? Maybe I’d have been invited to ride up in a hidden lift inside the invisible 5th leg of the tour, accessible only via underground tunnel from the Ecole Militaire... Or maybe, just for today, I’ll take comfort and satisfaction in the theory that the Eiffel Tour is actually a democratic monument. This entry was posted on 6 May 2009 by ladymissmba. It was filed under Uncategorized .